As manager of the „Knoll Planning Unit“, Florence Knoll steadily thought about the connections between all furniture pieces when she designed something. It was important to her that furniture was suitable for all kinds of rooms. 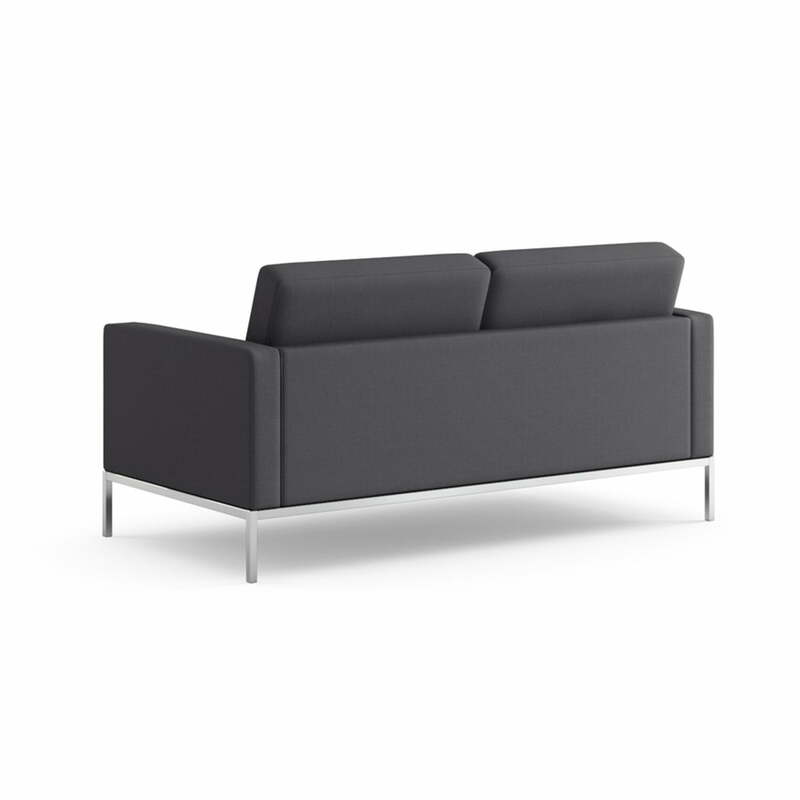 The geometric forms of the Florence Sofa have their origin in architecture. Florence Knoll would never compromise, which is why she often designed new products when there wasn’t any suitable piece for her room planning. 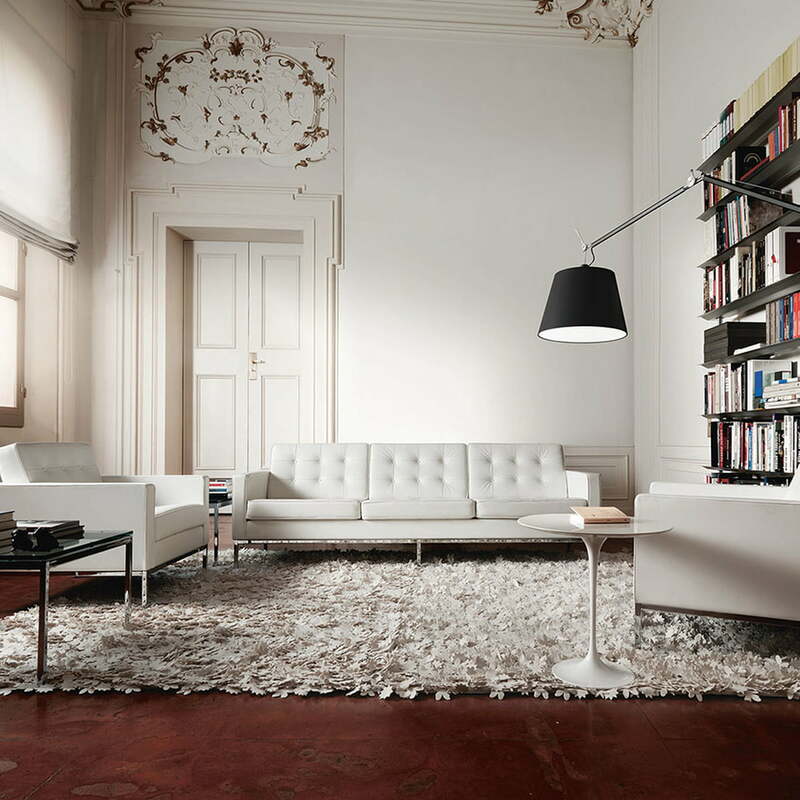 And since she never contemplated herself as a furniture designer, Knoll’s aim for harmony and consistence in design led to many products considered iconic pieces of the manufacturer; simple and unpretentious as the Knoll Florence Sofa. When skycrappers grew in America, Florence Knoll believed she had to adapt her furniture to that new architecture, adapting therewith interior decorations to it as well. 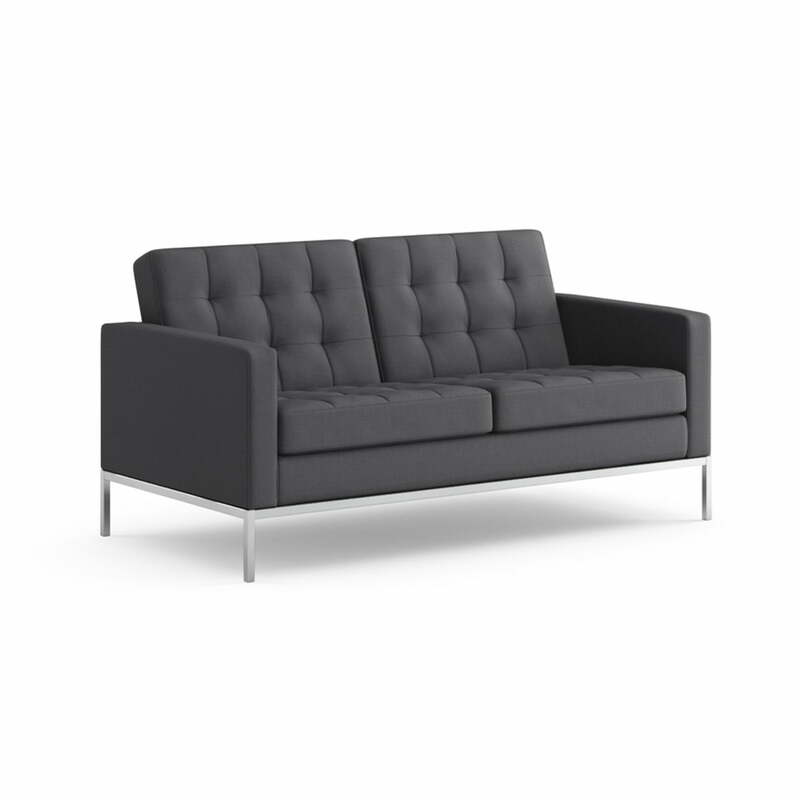 She created geometric, clear furniture pieces as the Florence Sofa, which was clearly influenced by her mentor Ludwig Mies van der Rohe, by means of reducing architecture scales and making them more “human” with colours and textures. 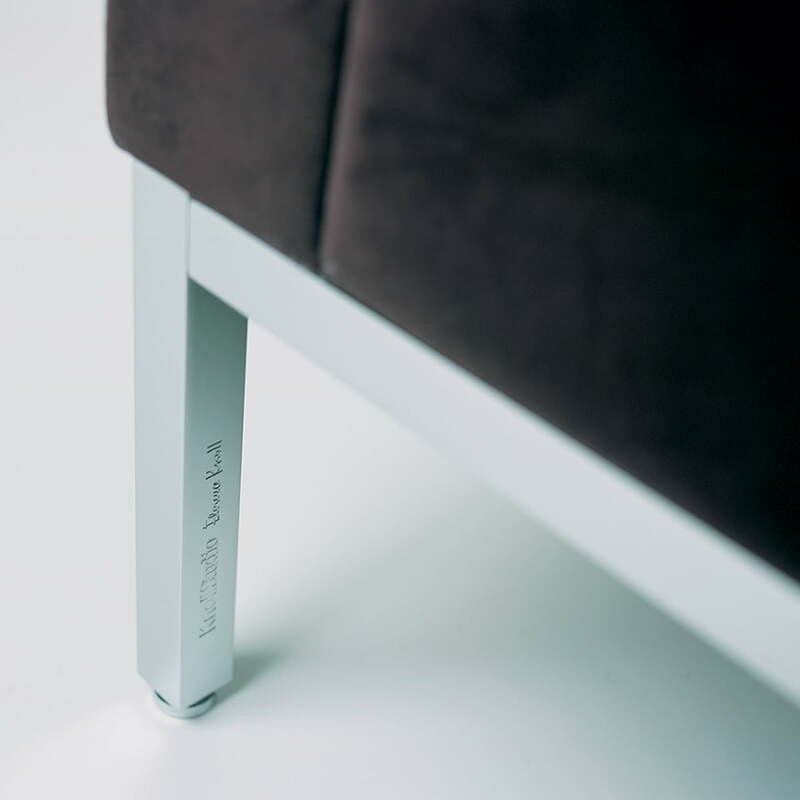 There is a comfortable springing inside of the sofa, which avoids the body from subsiding: Armrests, seat and backrests of the Florence Sofa are filled with foam in different densities.